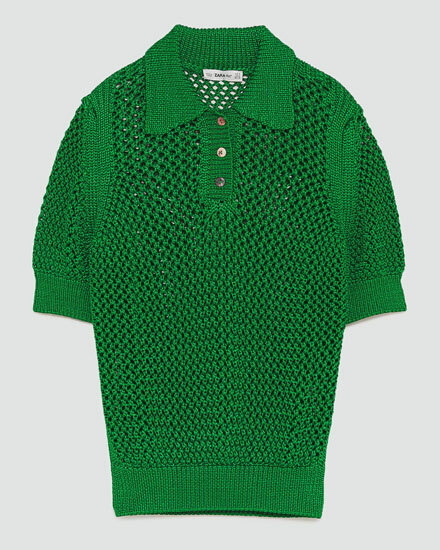 Not the first place I would think of looking for anything vintage fashion-wise, but the knitted polo shirt at Zara really have caught my eye. There is a strong mid-20th century vibe going on here. 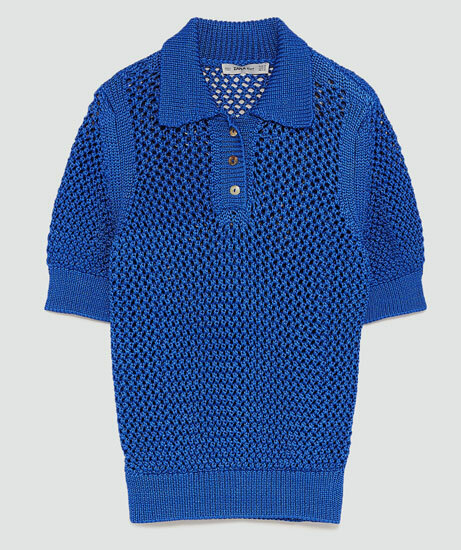 Very 1950s casual wear (possibly early ‘60s too) and with this kind of knit, the tops really are ideal for the warmer weather. Like now, for example. Although there is no guarantee it will last. If it doesn’t put it away for later in the summer or for when you go no a jaunt to somewhere warmer. Either way, it should be useful at some point before the year is out. 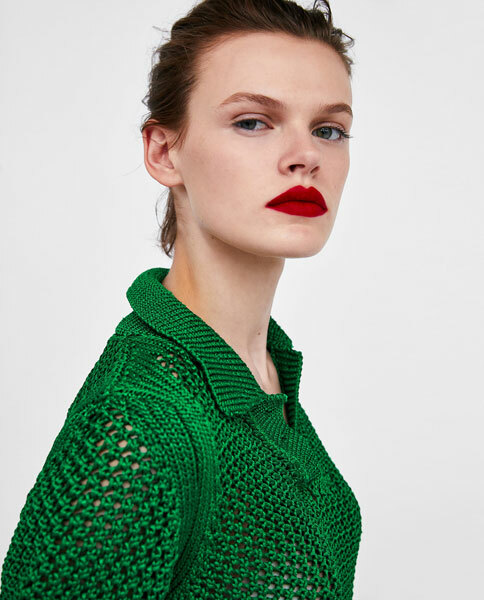 You can choose between two strong shades, those being the blue of the green, both ribbed hems for the hem and the cuffs, as well as three-button fastening if yo want to wear it a little more formal than the images here. To be honest, it’s probably best to go at least one button open unless you want to look particularly formal. Sizes are small, medium and large and if you want to check what that means in reality, see the sizing guide on the site or just pop into a Zara. There is pretty much one in every town these days. Of course, one other thing is missing and that is the price. £29.99 in whatever size and colour you opt for.